Will 2016 change everything, or will it be more of the same? Well, like all things digital, it’s more than likely that some changes will be incremental, whereas other changes will be dramatic, to say the least. Just think – some aspects of the online world are surprisingly similar to how they were several years ago, whereas other huge industries have seemingly sprung up out of nowhere. Apps for example, and the rise of mobile. 2015 really was the year of content. 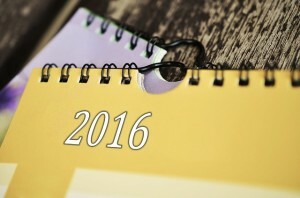 The year of businesses using fantastic content to attract leads and sales. And the industry of content marketing just keeps on growing. Is this likely to reverse? Not any time soon. And particularly, since content marketing is basically the next incarnation of SEO (getting traffic through the search engines), everyone is jumping on this, since however hard Google makes it to predictably attract traffic without paying for advertising, everyone wants more Google traffic! Facebook is huge, and just keeps on getting bigger with well over a billion (with a B) users every month. No other social platform comes anywhere vaguely close. And that isn’t even taking on board that Facebook also owns Instagram and WhatsApp. Frankly, whatever you’re doing online, whatever you’re selling, whatever you’re promoting, your audience is on Facebook. But there’s another platform that’s very much on the ascendency, and importantly, the traffic on this platform has been shown to be hugely valuable, especially for merchants that sell to consumers. Yes, that website that men never really understood for the first few years, is making more and more money, and just keeps on growing its audience. So now, more and more marketers are jumping on board. It really does look as if 2016 is going to be the year of Pinterest. It’s on the cusp of the big leagues now, but just doesn’t get talked about as much as the trendier platforms like Snapchat. However, considering Pinterest seems to be a money making machine (for Pinterest itself, and businesses using the platform effectively), its future looks very bright. 2015 hasn’t been particularly kind to Twitter, and unless there’s a dramatic change in circumstances, it looks like its audience will at best stagnate, or at worst, start to shrink. It’s just that Twitter the product isn’t very accessible, or of interest, to the mainstream. Hundreds upon hundreds of millions of people have tried it, but only a relatively small percentage of those stick around. It just doesn’t have the rich functionality of Facebook. Plus its advertising platform doesn’t appear to deliver particularly positive results for businesses that use it. And it’s losing money quarter after quarter. So Twitter could potentially be one of the first major victims of this latest round of Silicon Valley exuberance. And Snapchat has the audience and the interest, but isn’t having much luck (yet) making any money. And since the audience it’s particularly popular with (the under 25s) is known to be quite fickle in the technology it uses, Snapchat could potentially go the way of MySpace and even Friendster. Time will tell. So simply put, we can’t predict the future, but Facebook is clearly taking more and more of the online market share, and platforms like Pinterest and LinkedIn have their place and serve them well, whereas many other platforms are struggling, and may shrink significantly, in the near future.